Exclusive upstairs and downstairs living space. Beautiful secluded living space in private home with private entrance. Upstairs: Cathedral ceiling bedroom with queen size bed and outdoor deck overlooking oak and beach forest. 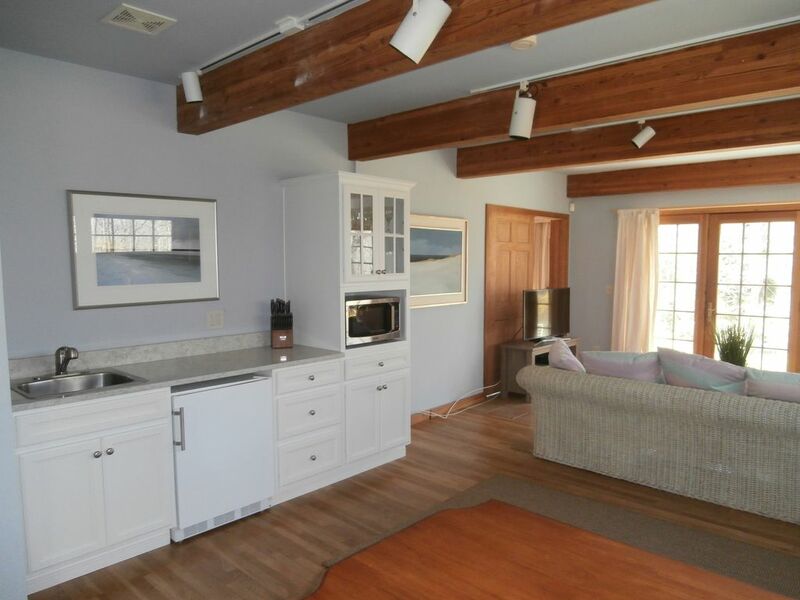 Downstairs: Spacious living room with kitchenette and bath, surrounded by 200 acres of forest solitude, sitting 160 feet above sea level, with access to the best ocean and bay beaches. Close to Village of East Hampton and Guild Hall, LIRR Amagansett station, Hampton Jitney, Sag Harbor, and famous Montauk Downs Golf Course. Beach chairs, and towels, and small cooler, are available, ask owner.